Even though I won’t get to wear it for a while, this sweater has me AMPED! I love it! 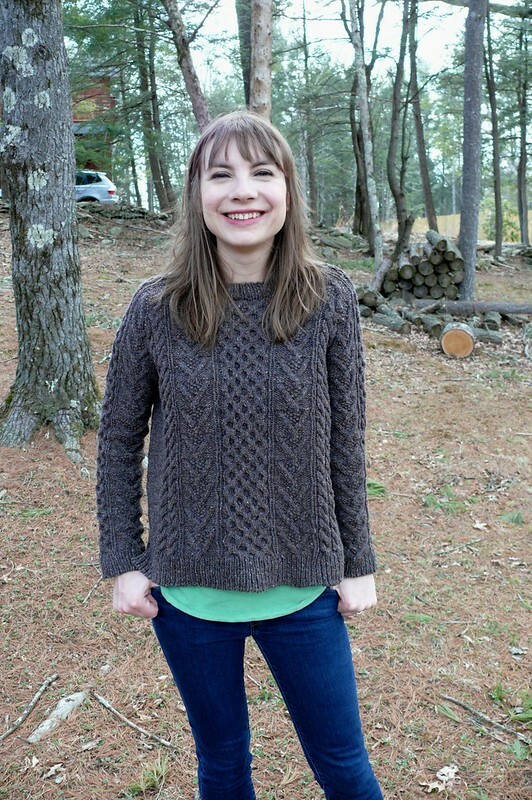 I really think it’s the best fit that I’ve gotten to date in a handmade sweater- a straight cut with a bit of ease through the body, which I like, and a slim fit through the shoulders and sleeves for nice balance. I didn’t make any modifications for fit; it’s all due to Melissa’s good design. 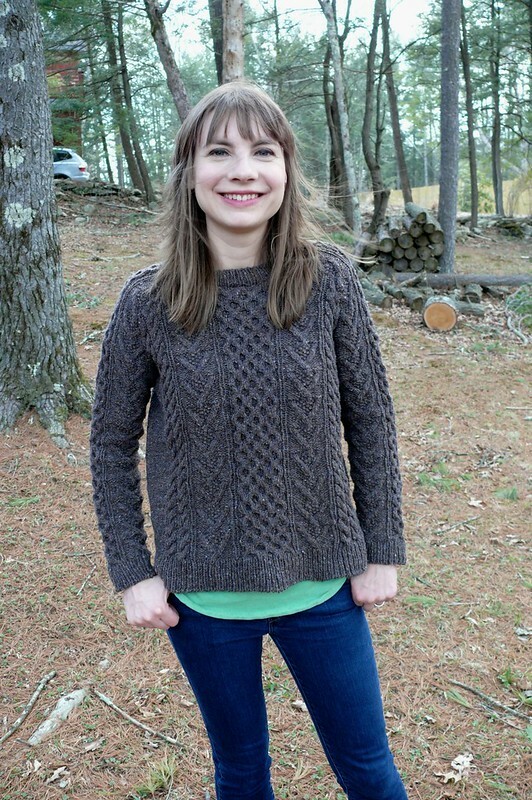 I purchased this yarn a while ago with a plan to make a Stonecutter, but as soon as Bronwyn was released, I knew that I wanted to use it for her! I’ll make a Stonecutter one day, I promise. 🙂 The colorway is really gorgeous- it’s brown/grey, with little flecks of blue throughout. It looks brown in warm light and grey in cool light, and pairs beautifully with denim, which is perfect for this jeans lover! 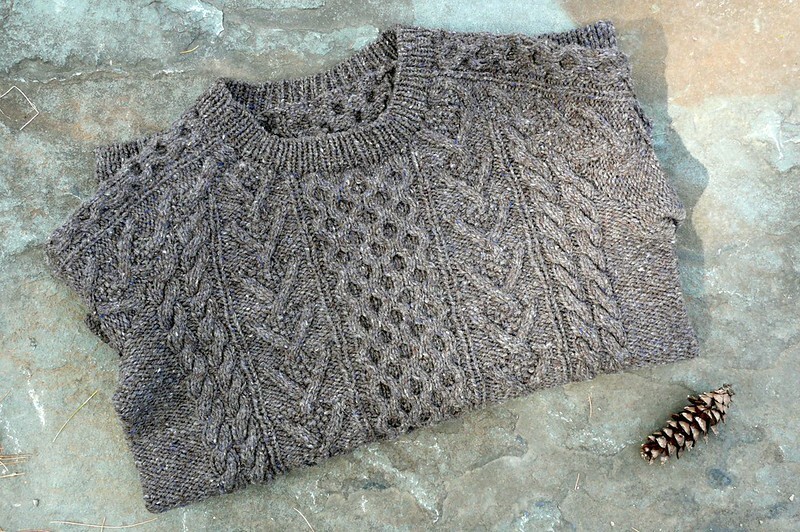 The pattern was a joy to knit. It starts with a tubular cast-on and a split hem, which look great and give a modern edge and professional touch to the sweater. 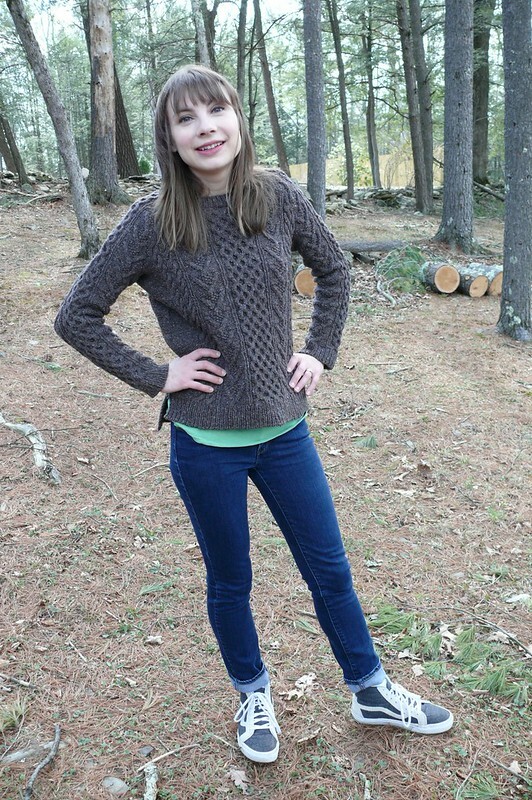 Then the hems are joined and the sweater is knit circularly, bottom up, until the armscyes. Then the front and back are knit flat. The raglan sleeves are knit circularly, bottom up, and seamed to the body. 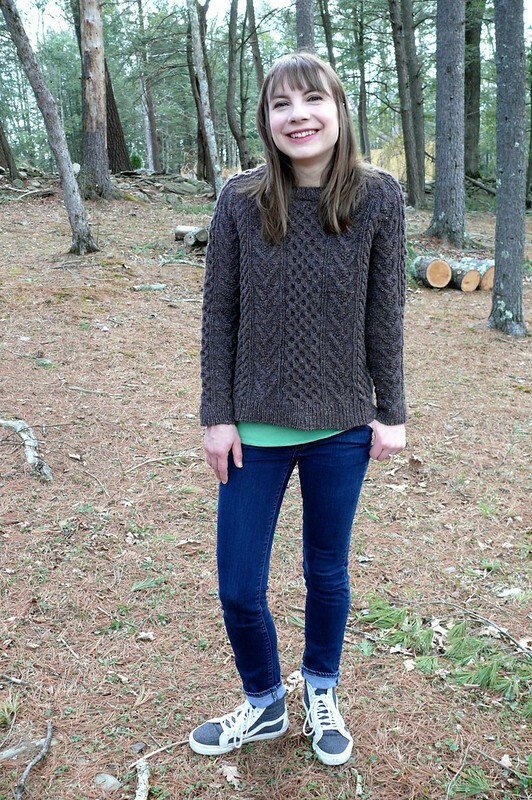 I always dread seaming knits, but this was really straightforward to do and I was so excited to finish the sweater that I seamed it right away instead of my usual procrastinating for weeks/months before seaming (note: I used leftover sock yarn to seam this… I just can’t manage to do it in Shelter without the yarn snapping). 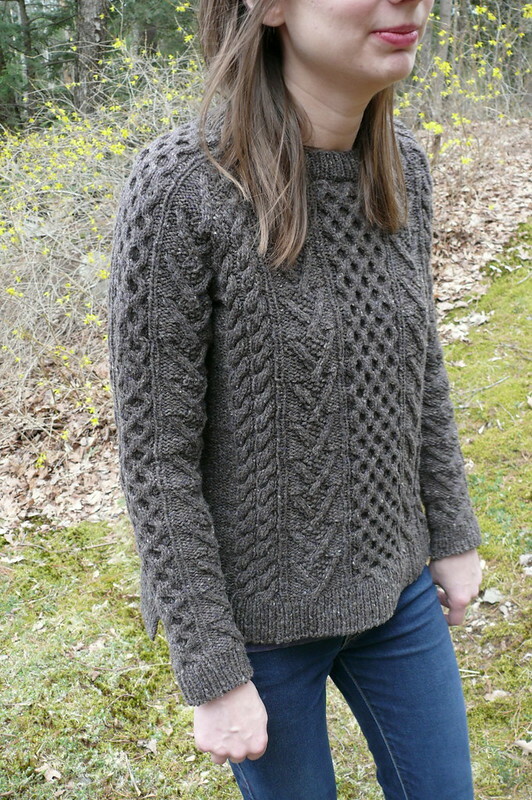 The cable pattern is gorgeous and super intuitive- after a couple of repeats, everything just makes sense. I followed the pattern exactly, with the small exception of slipping the first stitch of each row on the hem. I seem to always have to go down a needle size to get gauge in BT patterns, and this was no exception. Everything easily blocked out to the right dimensions and the cables looked so nice after a good blocking! Alright, friends, what are you knitting these days? If you’re in the northern hemisphere, are you still planning hand-knitted projects, or are you moving on to other things in the anticipation of warmer weather ahead?